So will we be able to pre order or do we have to wait till Thursday and just buy it? 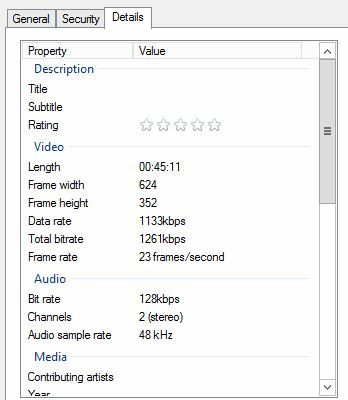 If someone can check and see if the audio stream recording during video is stereo or mono. If you have a video file on you PC, right click, properties, details .. I read these forums often and when a new phone comes out there are lots of questions that aren't always answered (and misinformation that gets spread around). You guys are interested in details that the average consumer isn't and the marketing material doesn't always cover everything. I obviously can't give out any information on future products/features or other Nokia proprietary info but I am happy to answer questions about the 928 and show off the reasons I think this phone is so awesome. Not trying to hijack this thread, if Abe wants me to take it elsewhere someone can start a new one. ArvydasGOAT, jmajid, vlad0 and 1 others like this. Thanks to you and Honestabebread - seriously. can you comment on how "future-proof" the 920 and 928 are, esp. re: wp9 if you're allowed to divulge such information? I don't have information on future software support. I started a new thread and will check back later to answer what I can. How much lighter is the 928 vs the 920? Is it like "holy crap" or is it like "oh yeah ok"
I know you said you wont comment on future tech but because you said "Lumia Engineering" I have to ask. Ballpark figure, how much longer do we have to wait for HDMI out? This is the feature I can't believe WP does not have and the only one I really feel I am missing out on. AFAIK hdmi is fading out as a whole. Therefore is not coming back. The weight is definitely noticeable but not an enormous change, I never thought the 920 was overweight to begin with. What is it that you want to do with HDMI out? I find that Play To works well for connecting to my tv/xbox, and photobeamer is an underrated app I use all the time. Then try doing cardio with a phone in your pocket. It drags your pants down. Work out in the wrong neighborhood and no one will notice. Twice Born, willied, Rickste and 1 others like this. Right on. I've never held a 920. Just a 900. My running routine actually goes past kindergarten, which is close to forest and then beach. ROFL! We'll see you on the news! nunyazz, Scorpio5x0, jleebiker and 1 others like this. Cool.. So how is the 928. Does it meet your expectations?. is it very heavy? It's phenomenal man. The xenon flash is mind blowing. Turned my office light out and shut the door and took a picture. Couldn't even tell that it was a dark room at all. The loudspeaker isn't as loud as they make it out to be, it's just really clear. Feels like it's indestructible. The white model does feel like it could get gunky if you have oily hands though. The AMOLED screen rules and you can't tell where the screen ends. rmichael75, jleebiker and Zomby Jeezus like this. They overnighted mine. Hopefully you'll have it by launch. Excuse me while I wipe the drool off my face and keyboard. Heard any word on any sales? I'm wondering if someplace like Wal-Mart will do an 822 type sale on this phone. The loudspeaker isn't as loud as they make it out to be, it's just really clear. Aww man not what I wanted to hear. Just got the Focus Flash!